I’ve been segueing between writing two novels, one, a young adult science fiction, the other, historical fiction. The science fiction was first, and I started the novel that takes place before and during the American Civil War, or War of Secession as it was known in the South, after I finished the second draft of Learning to Fly and put it away to stew for a few months. Turned out to be a couple years while I was involved in Here We Stand. After another attempt at a draft of Learning to Fly and what is going to be a major rewrite, LTF is going to sit for a while, as I, once again, return to Here We Stand. Impossible not to return, as I am finally visiting the locations that were only learned by research two years ago. How exciting to actually see what you wrote about! I love historical research, but there is nothing like actually being in the place and getting the feel of it. A couple weeks ago we were in New Iberia, Louisiana, the place where one of my major characters grew up. 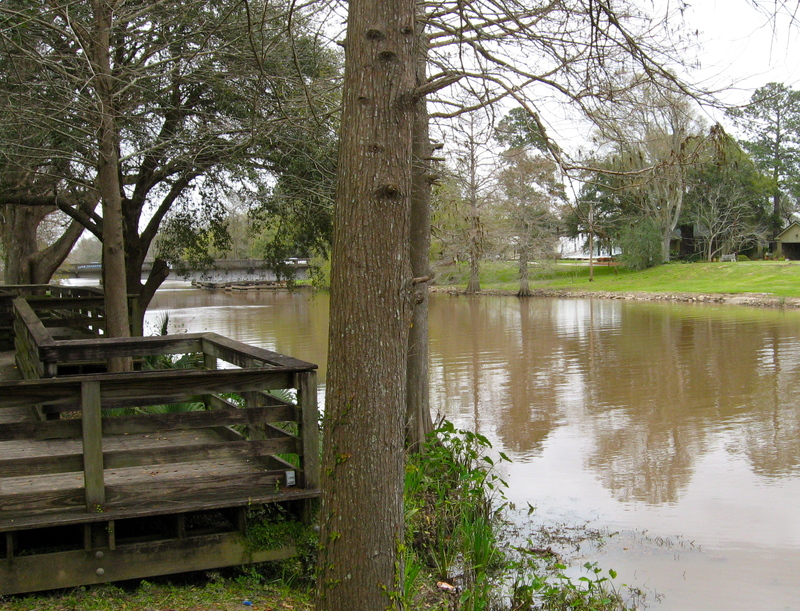 I stood on the shore of Bayou Teche, where my main character rode a steamboat with his fellow members of the 8th Texas Cavalry on their way to New Orleans. New Orleans. 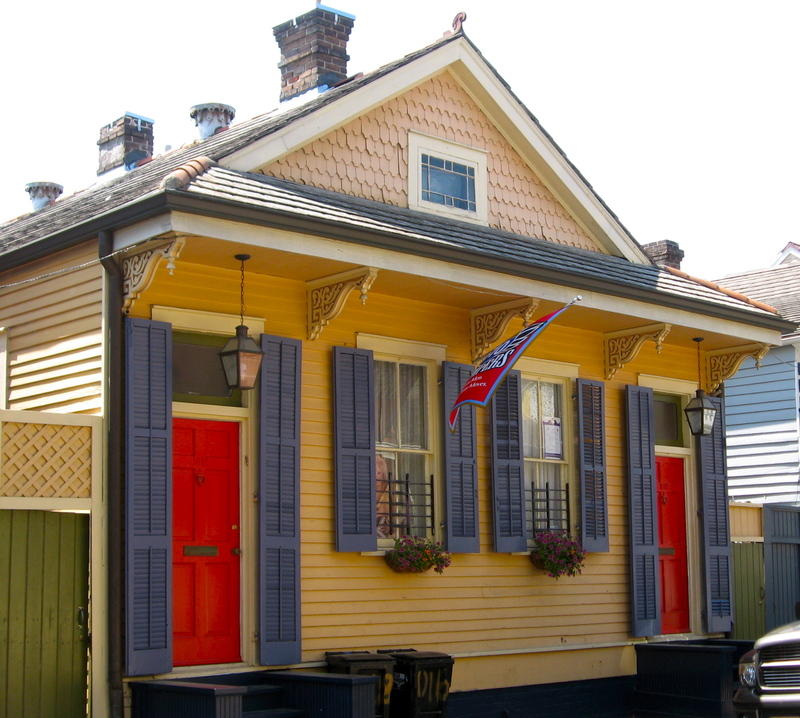 I am in love with that town, especially the Creole cottages—in one of which another character grew up. I had no idea they were so lovely and colorful. This character, whose grandmother was a free black woman from Santa Domingue, now known as Haiti, passes as white and flees New Orleans to establish himself as a tobacco planter on the Brazos in Texas, never telling his “white” family of his past. We are in Texas now, and our next stop will be in Washington County, where Part I of the novel takes place. Where the main character grows up a plantation slave owner’s son, a son who has no idea his is black, himself. In those days only 1/32nd black made you a black man. This entry was posted in Here We Stand, Musings, Research by Karen Lynne Klink. Bookmark the permalink.